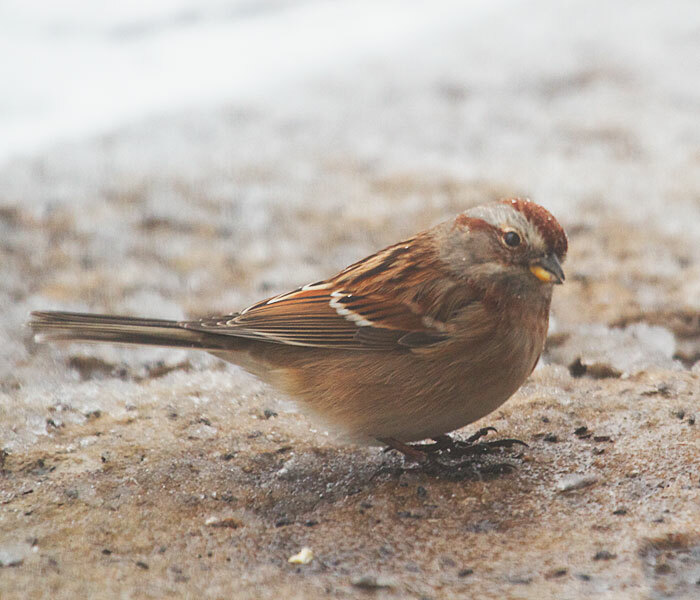 Somehow American tree sparrows never look cold. Even this morning, when it was 13 degrees. Even with bare feet on the icy ground. I'm glad my feet don't have to walk around bare-soled on the ice!